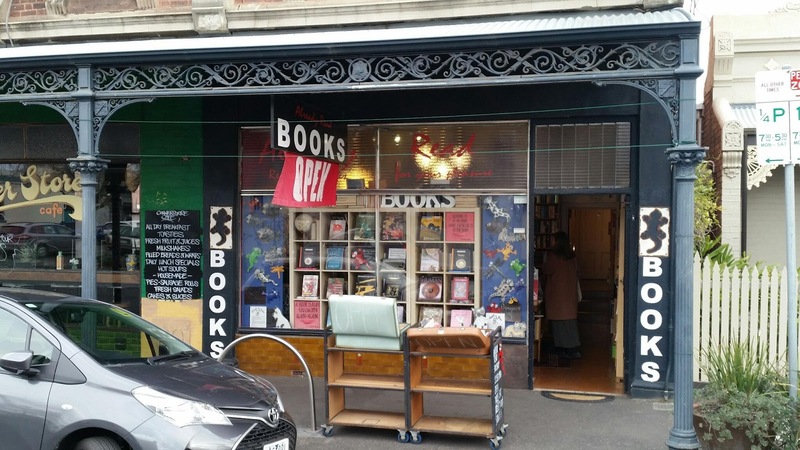 This neat little secondhand book store is located off the main road, between St Georges Road and Brunswick Street in North Fitzroy. 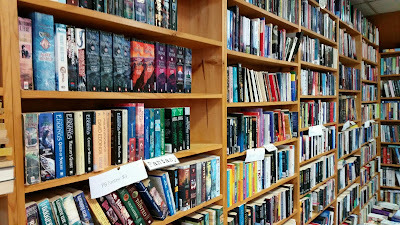 The store has been open for over 10 years and has a wide selection of fiction, thrillers, science fiction, non-fiction and children's titles. 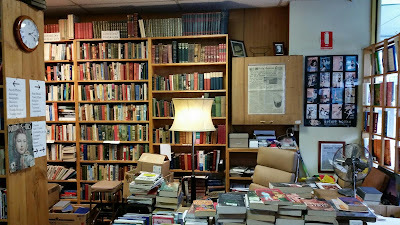 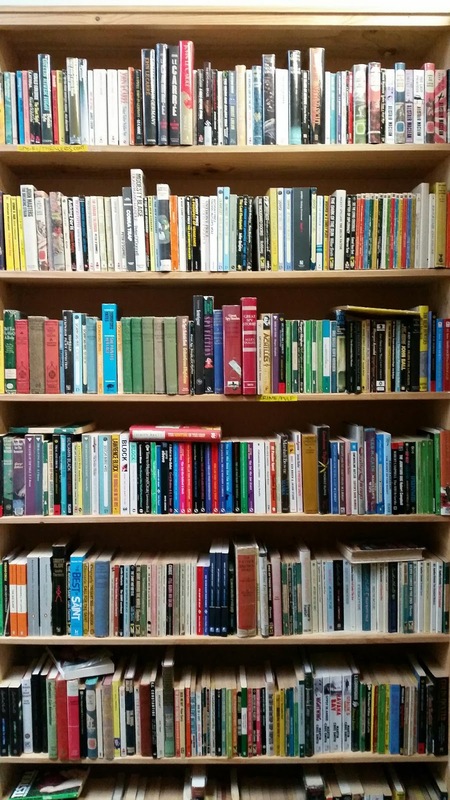 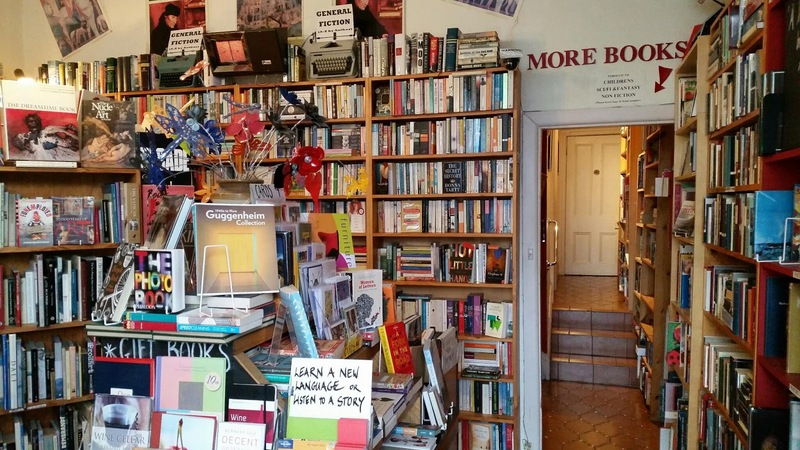 The shop is very bright and welcoming and the books are well organised, affordably priced and in great condition. 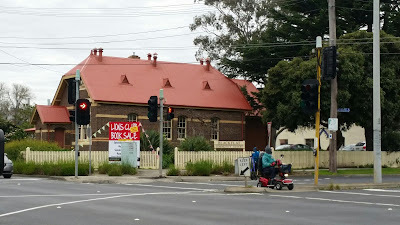 Make sure to visit this store. 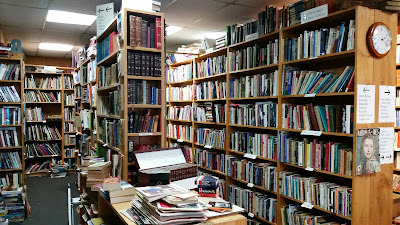 It feels like every time I enter this store I find at least one paperback to buy. 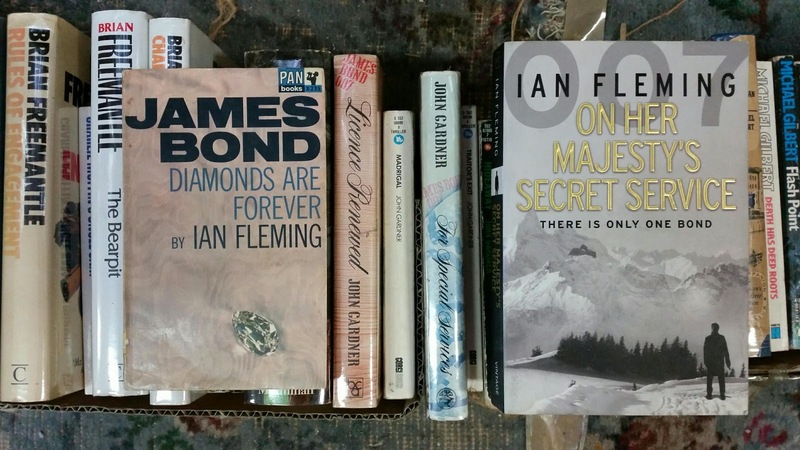 I'm not sure where the owner, Paul, sources his stock from but he always seems to have old novels in excellent condition sitting on his shelves. 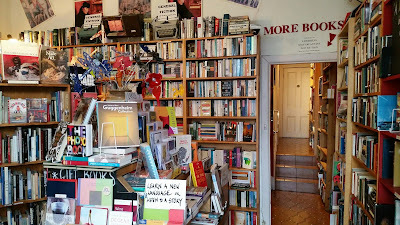 The store is neat and tidy with plenty of books on the shelves or occasionally in piles on the floor, and Paul is very welcoming and happy to offer his assistance if required. 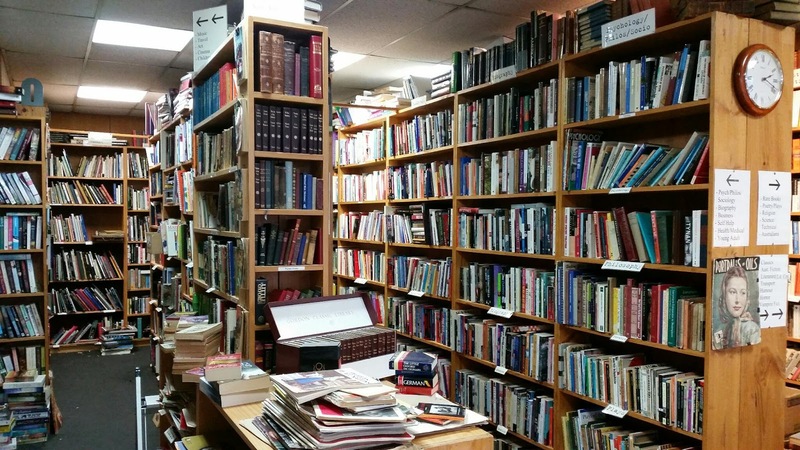 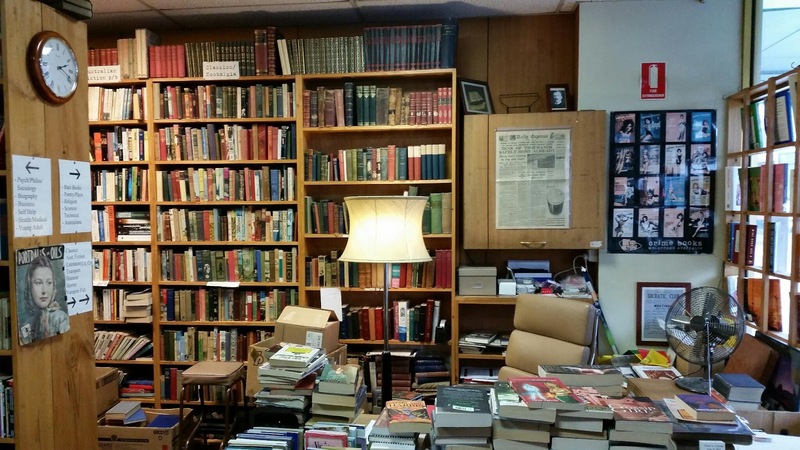 This secondhand book store is definitely worth a visit. If you collect/read secondhand books you've already visited this store as it's been around forever. 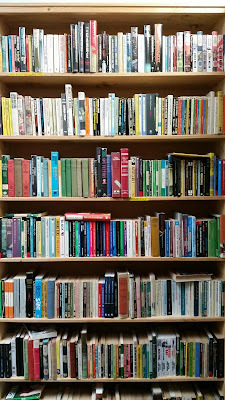 It has a huge variety of books on almost every subject you could imagine. 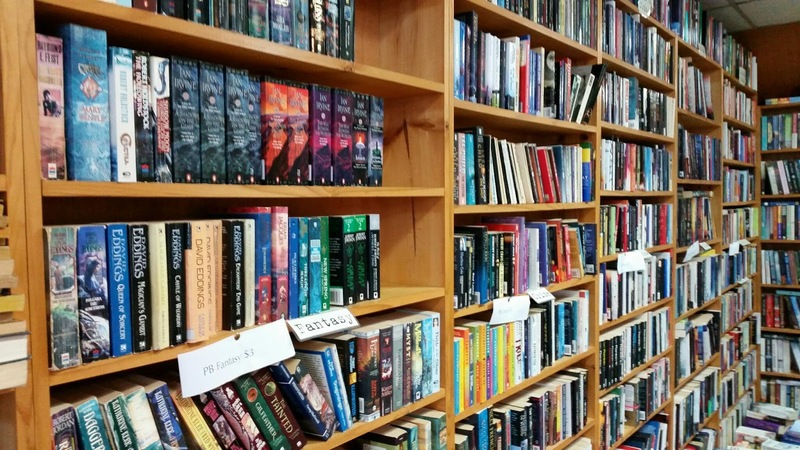 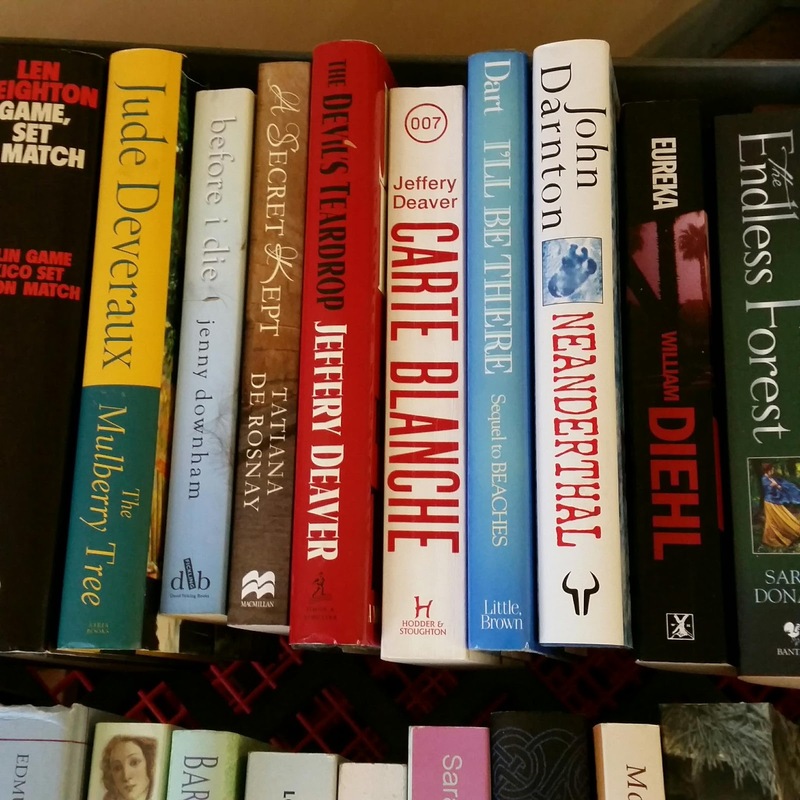 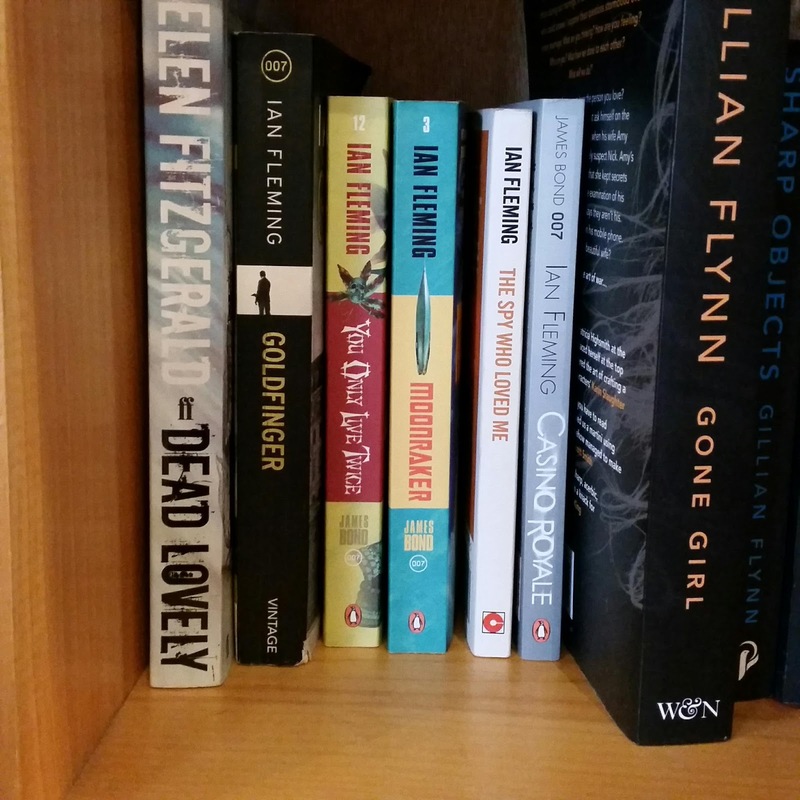 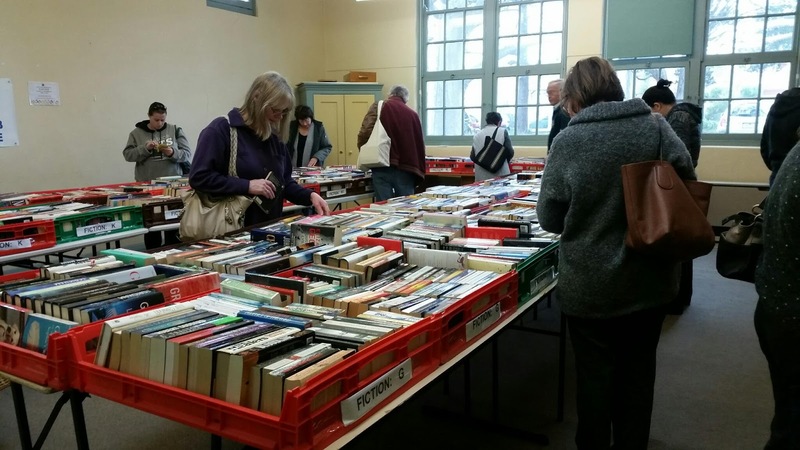 You'll find pre-loved books that just a few weeks ago were sitting in the New Releases section of Dymocks or Readings, comfortably resting beside "unusual" novels from the 50's and 60's. 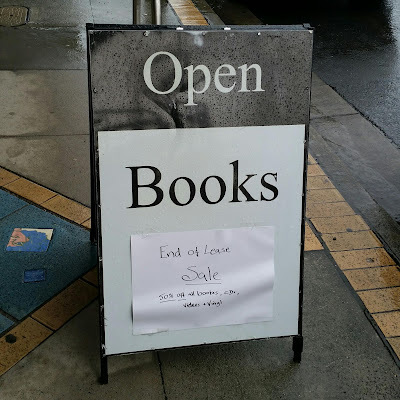 This store has something for everyone. 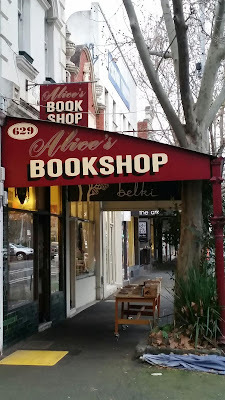 Alice's Bookshop is located in a perfect building for a book shop. There's a lovely old awning outside protecting a table of books on the footpath. 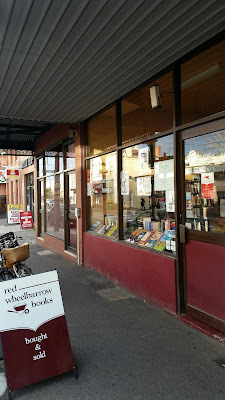 The entrance is simple with a glass counter in the centre of the room and book shelves around the walls. 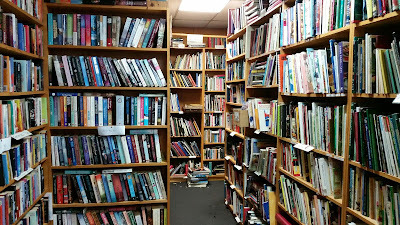 While a doorway on the right leads to a maze of bookshelves reaching to the roof out the back. It's obvious Luke and Selina, who purchased Alice's Bookshop just a few years ago, enjoy selling books. Within the glass counter are some rarer editions for sale, while resting on top is a pile of 1960's Bond novels (at least on this visit anyway). The lighting in the store is perfect. 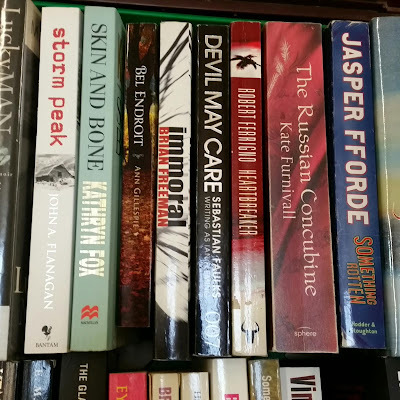 Great books, well categorised and a definite must visit. 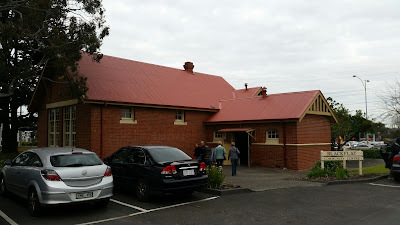 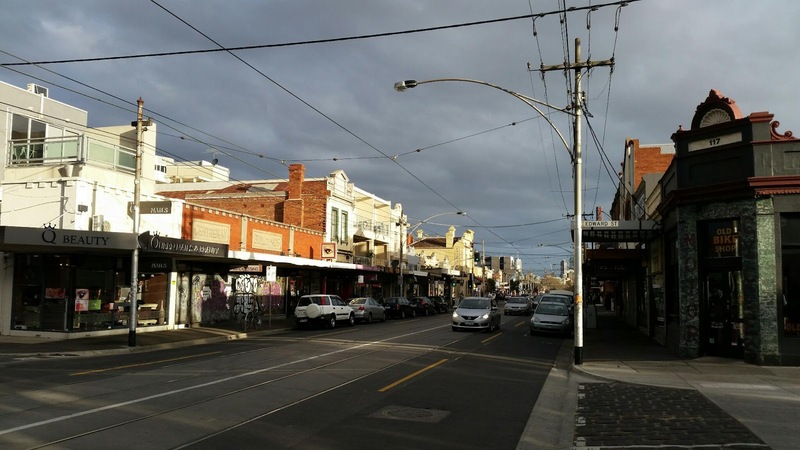 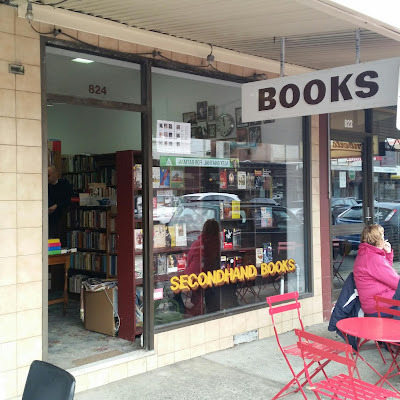 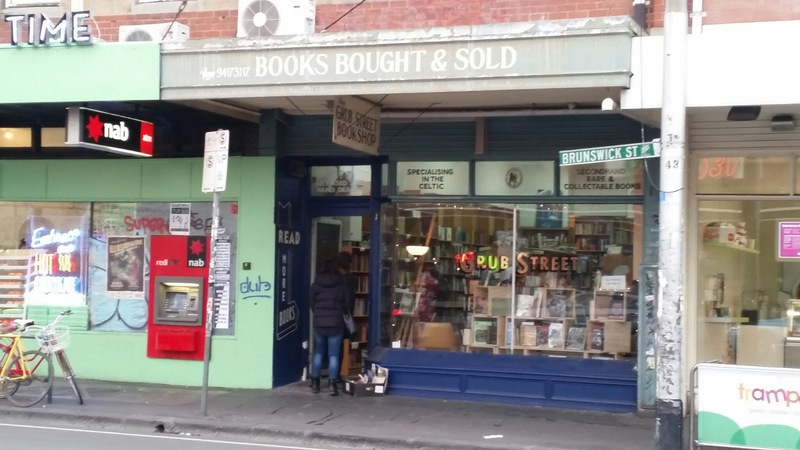 A couple of weeks ago I visited Cornerlamp Secondhand Books in Moorabbin but it was closed. 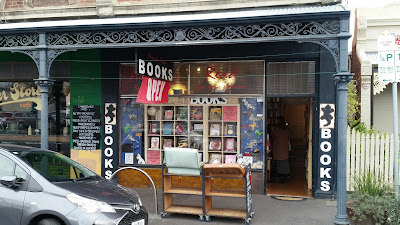 Last Friday I visited again as I knew it would be open this time. 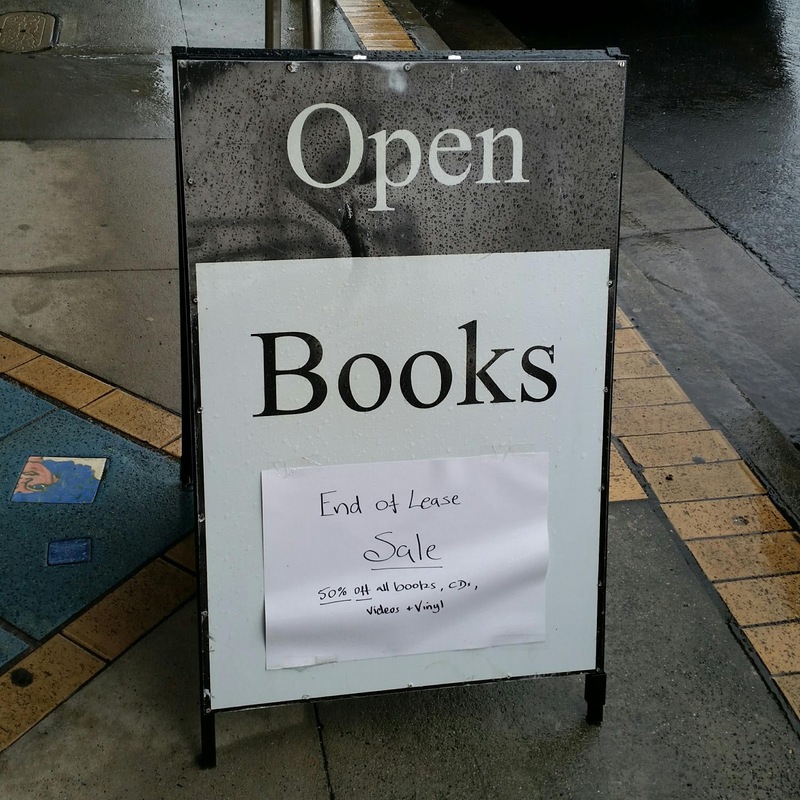 But not for long it seems, as the store's lease is up in late September. 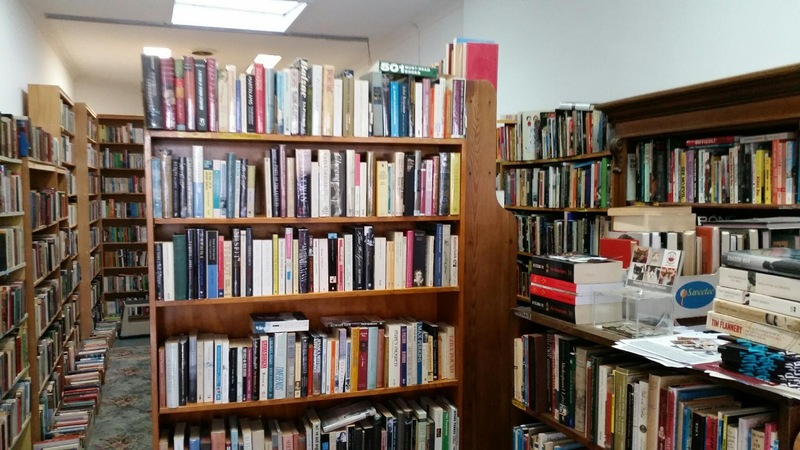 And while the owner will be reopening Cornerlamp in a new location in the future, until then the store is open every Thursday, Friday and Saturday with all books half price. 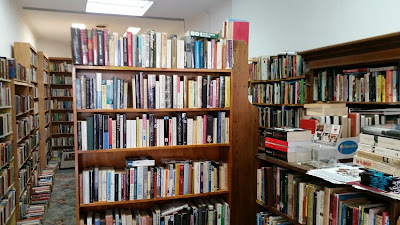 Here's some snaps I took while in the store. 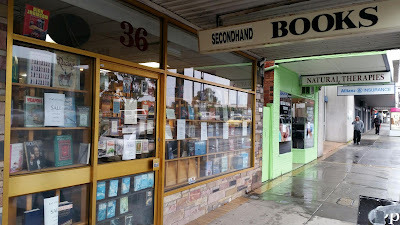 If you're looking for some quality books at a cheap price definitely make a visit to Station Street in Moorabbin before the door closes for good in five weeks time. 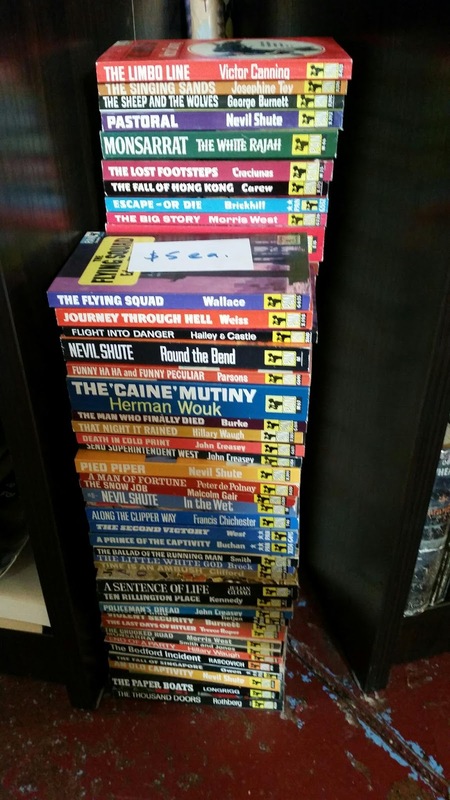 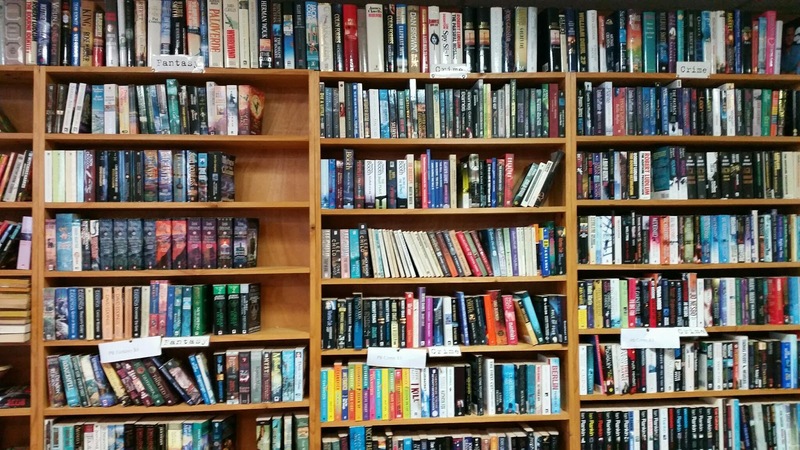 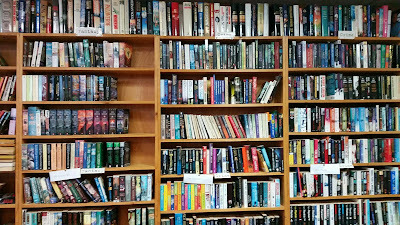 There's heaps of pulp crime novels, thrillers, Australian literature, science fiction and everything in-between. 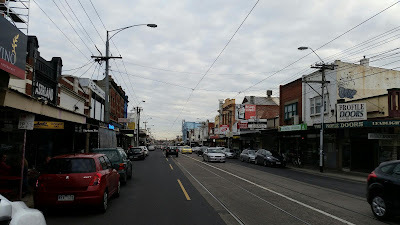 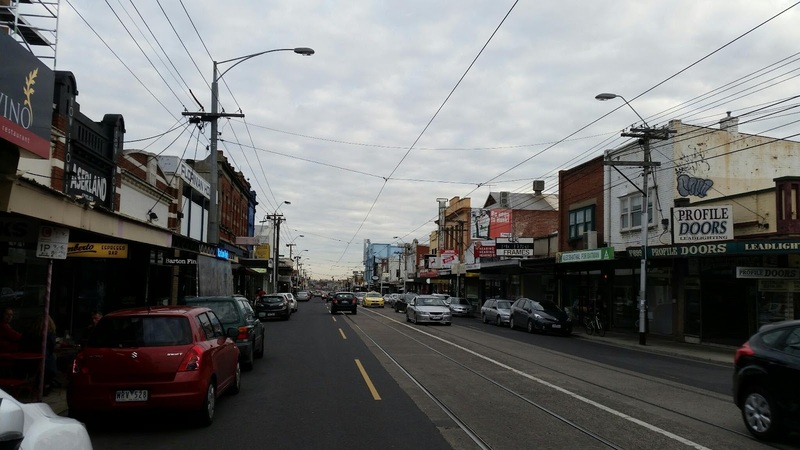 On Saturday afternoon my wife and I found ourselves in Coburg. 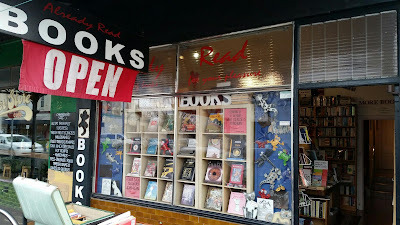 And because we had the opportunity we decided to quickly visit Fully Booked in Thornbury. 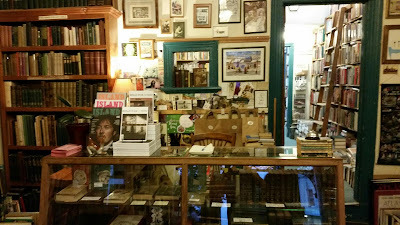 As I entered the store I was immediately greeted by the owners, Rallou and Tadhg. These guys are easily the most enthusiastic and passionate secondhand book store owners in Melbourne. 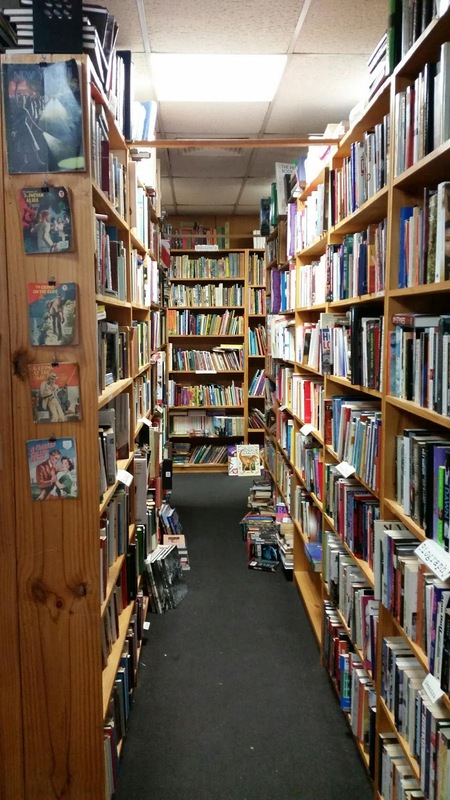 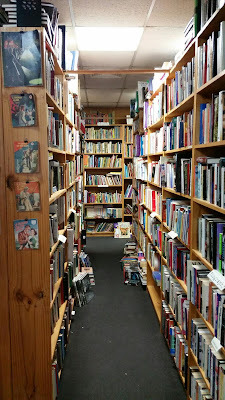 The store is really well organised, has a huge variety of books and always seems to be have new stock on the shelves. 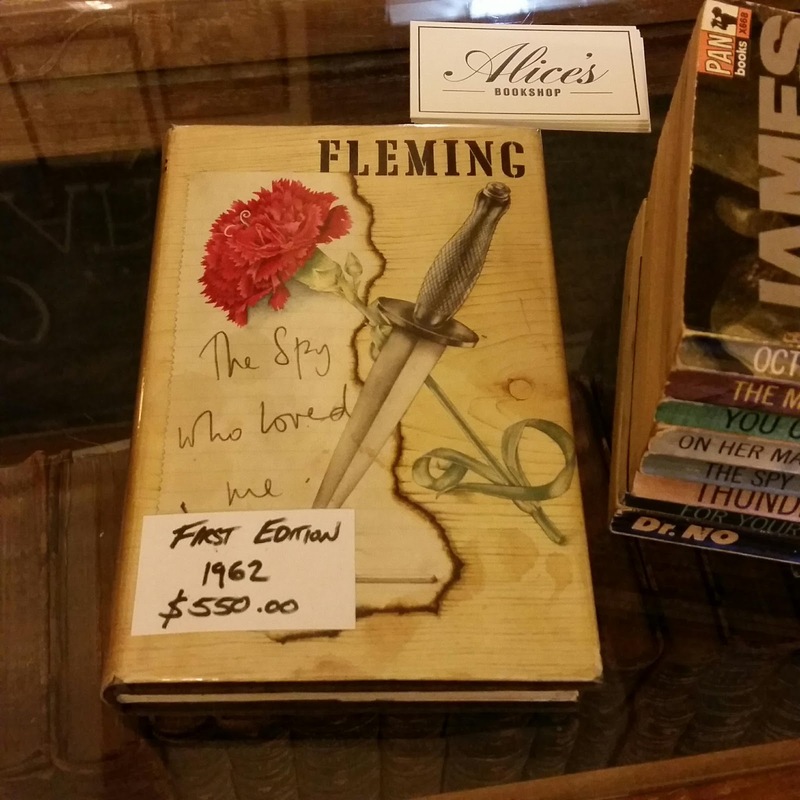 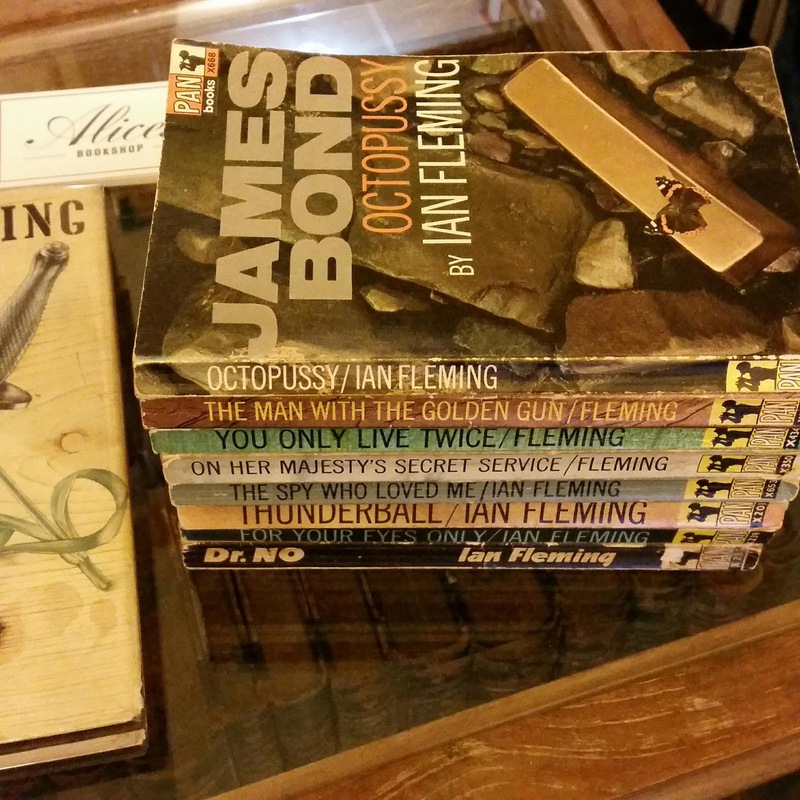 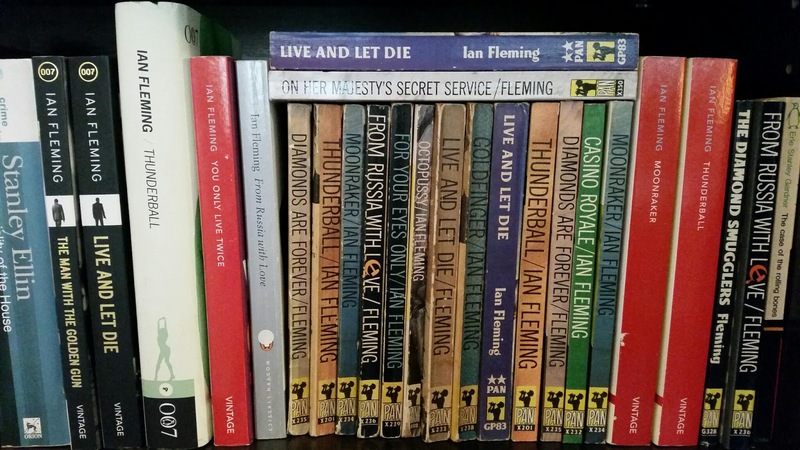 I headed to the "SpyFi" section at the back of the store and managed to find four Bond novels; two by Fleming and two by Gardner. 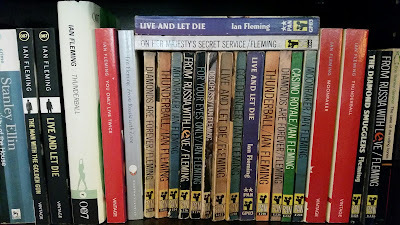 Unfortunately I had them all. 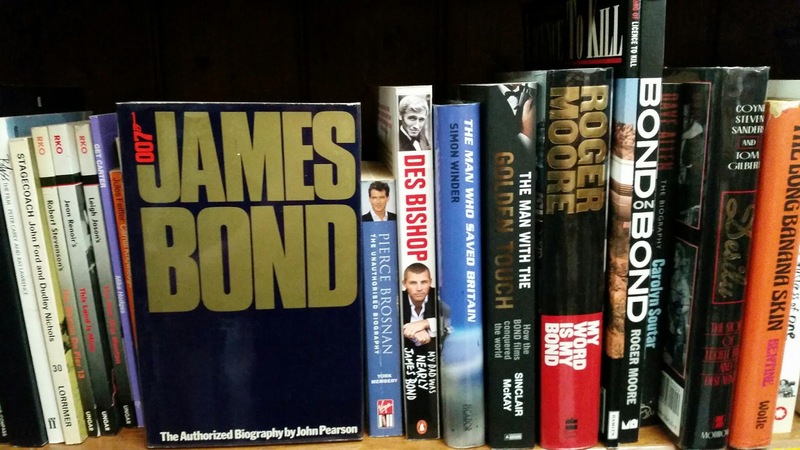 I then made my way to the "Bond, James Bond" section in the Film category. Here I found a really nice copy of John Pearson's "James Bond 007: The Authorised Biography" which I immediately purchased. 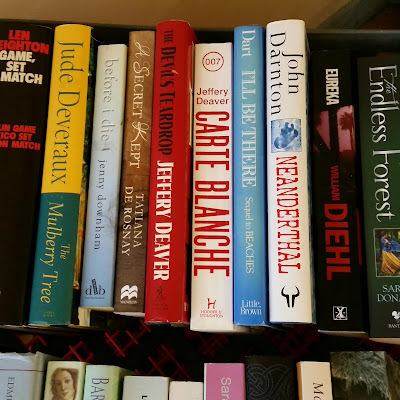 I almost bought this same edition in Vancouver back in 2013 but was concerned about the book's weight in my suitcase so I reluctantly had to let it go. So this copy, with a fantastic dust jacket, was a great find. 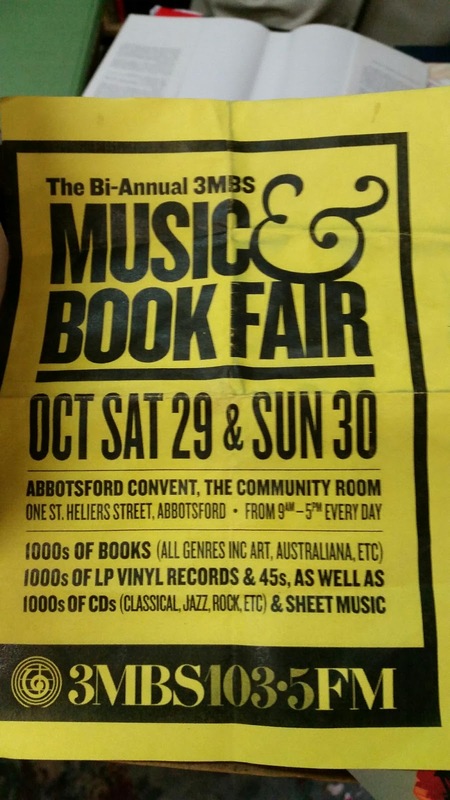 Finally, Rallou showed me a phamplet for a book fair in Abbotsford in October. 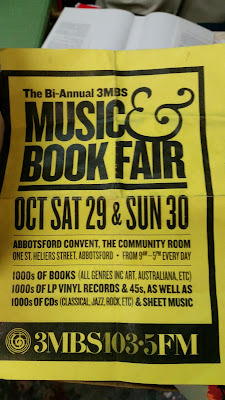 I'll definitely try to visit this one. Thanks guys. 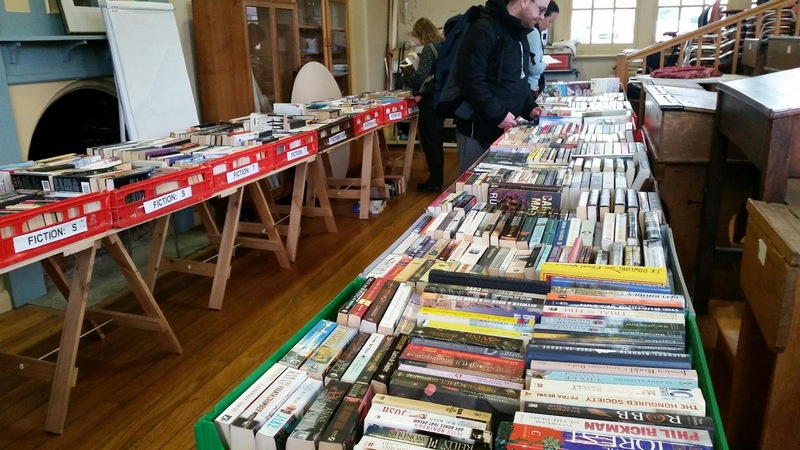 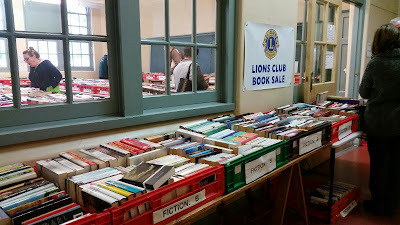 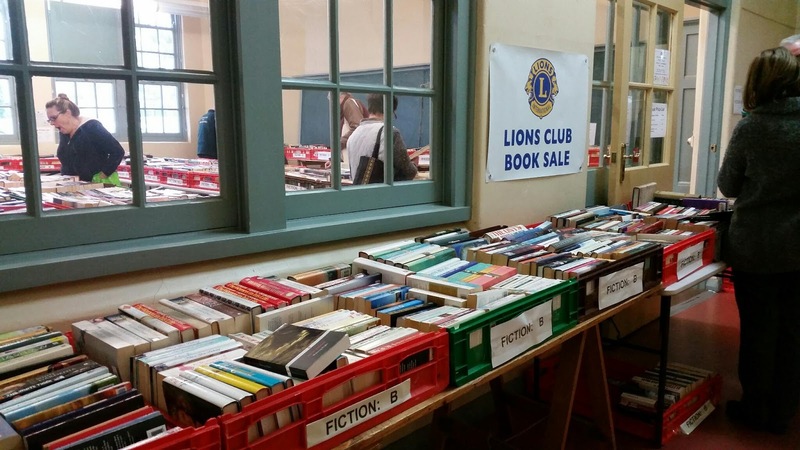 I've just returned from a book sale organised by Lions Australia in Glen Waverley, VIC. The sale is on till 4 today and midday tomorrow. The books were all second hand, in great condition, really cheap and amazingly well organised. 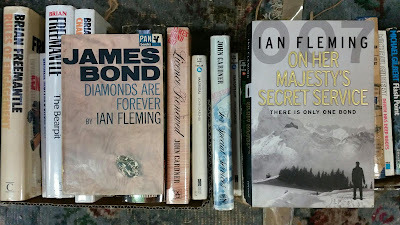 No luck for me today although I did find a couple of Bonds by Jeffery Deaver and Sebastian Faulks.